I am SUCH a royal history lover. I honestly cannot get enough of reading about, watching, visiting, anything to do with the British monarchy past and present, particularly the Tudor era. For Christmas Adam surprised me with an annual membership for Royal Historic Places for us both, which completely made my Christmas! 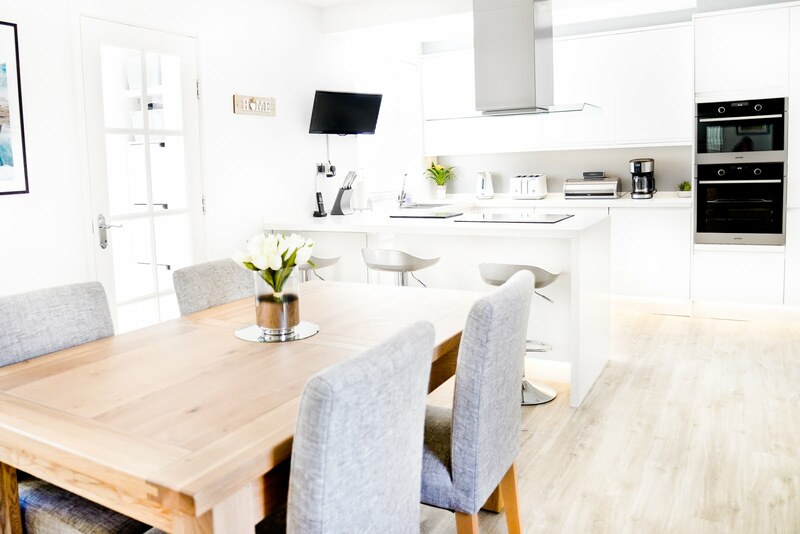 With our memberships we can visit Kensington Palace, Kew Palace, The Tower Of London and also one of my favourite places in the entire world - Hampton Court Palace. 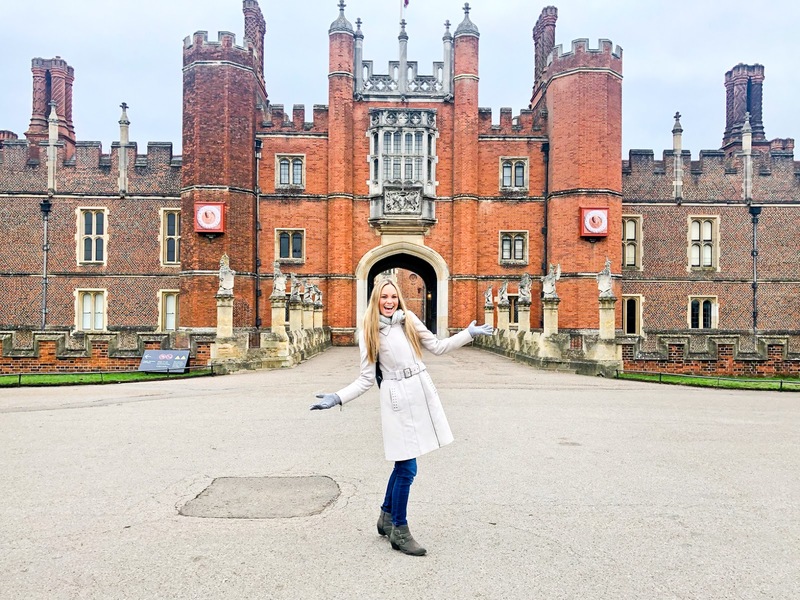 I fell in love with Hampton Court Palace the first time I visited, it's one of the most beautiful, most spellbinding places that I've ever been to and as one of the places most connected to Henry VIII it's such a special place to be able to see in the flesh. Hampton Court Palace was first built by favourite to the king Cardinal Thomas Wolsey in 1515. Cardinal Wolsey later fell from power and when he did Henry seized the palace for himself. In the following century, huge amounts of work was done by the new monarchy to the palace and lots of the Tudor palace was destroyed. Thankfully however, work was ceased early leaving some of the original Tudor palace still in place. As my love of history grows, I've decided that I want to write more about it and share some of my favourite facts, places and information about something that is fast becoming my favourite subject and today I thought I'd share a post on some of my favourite Tudor-related things to see at Hampton Court Palace and my top reasons to visit (particularly if you're a Tudor fan). 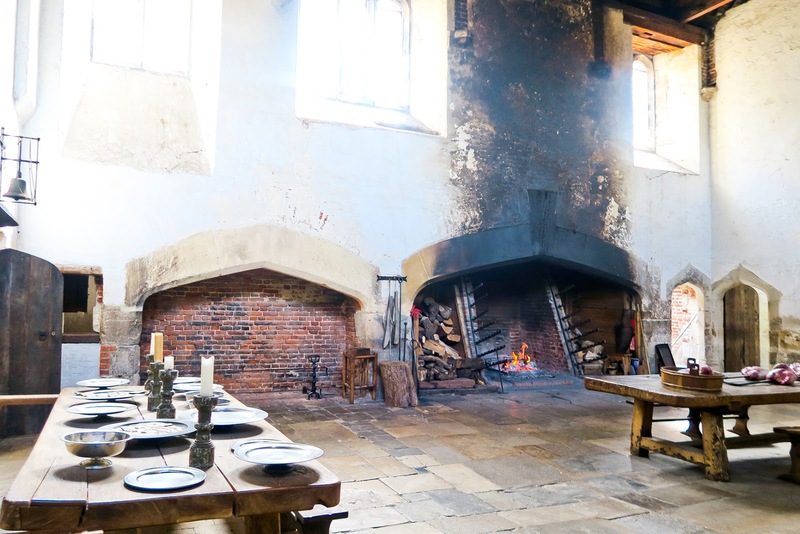 Henry VIII's Kitchens at Hampton Court Palace were the largest of Tudor England and the staff in the kitchens had to produce over 800 meals a day for the king and all of his courtiers. The meat roasting fire place is the original Tudor fire place that would have been used to cook for him! 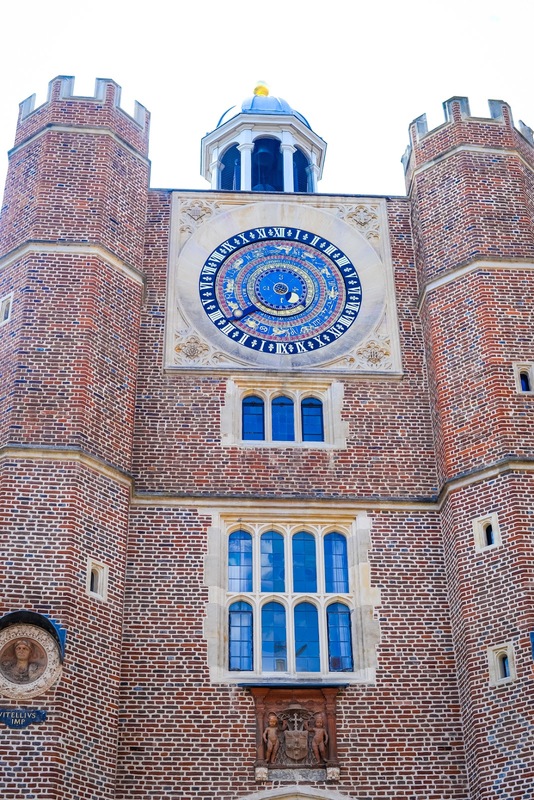 The Tudor astronomical clock was made for Henry VIII and still functions showing the time of the day, phases of the moon, the month, the quarter of the year, the date and the sun and star sign. The gate below is known as Anne Bolyen's gate and the seal below the window belonged to Cardinal Wolsey. 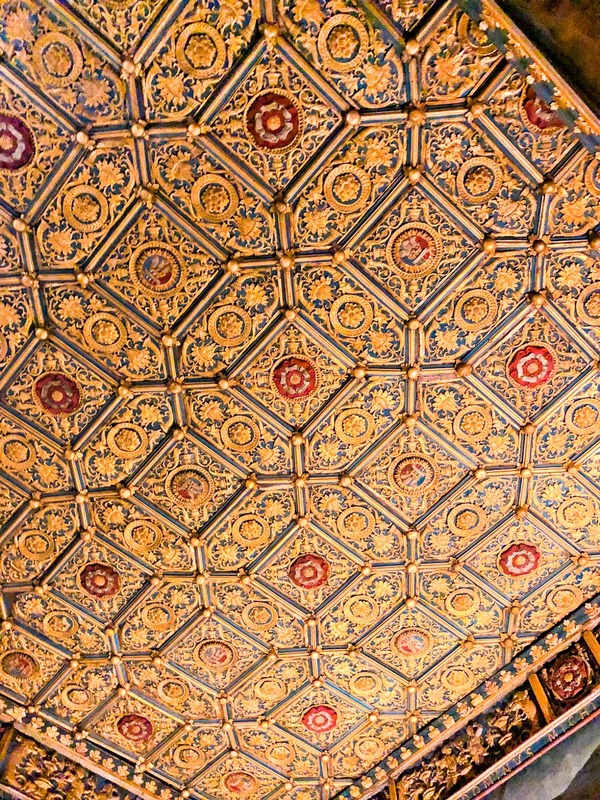 Part of the stunning ceiling in Wolsey's closest at Hampton Court dates back from the late 1530s and is original Tudor ceiling decorated with gilded renaissance motifs and badges incorporating the Tudor rose. 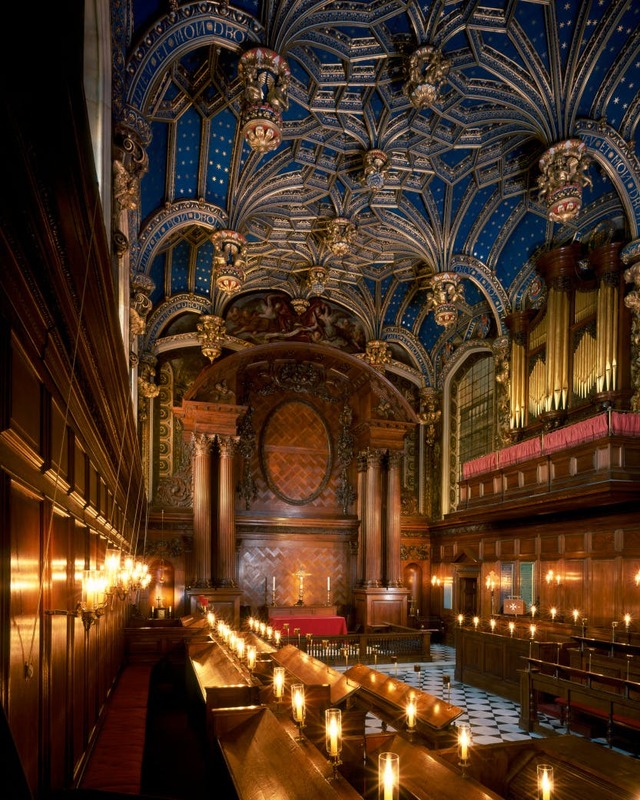 The (utterly magnificent) Great Hall of Hampton Court Palace is the only surviving hall built by Henry VIII. 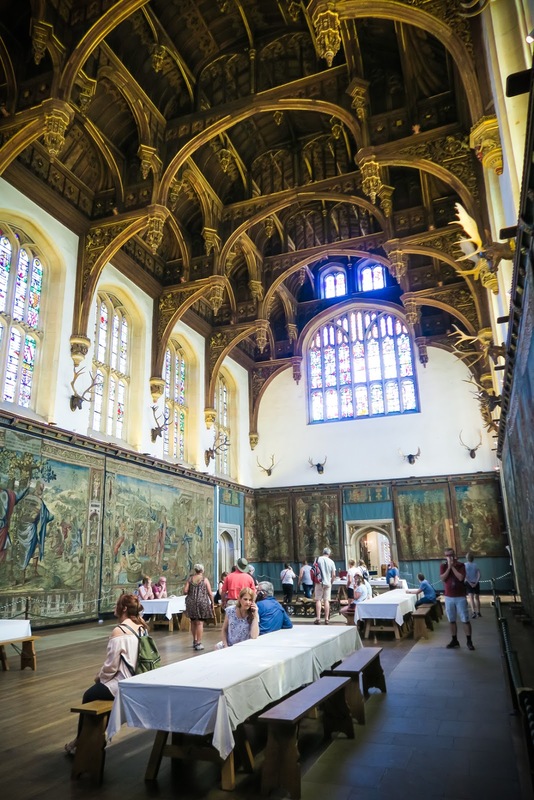 It's said that the Great Hall was used both as a space for Henry and his courtiers (Henry's extremely expensive tapestries decorated the walls of the hall on such occasions) and also to serve basic meals twice a day to the hundreds of members of the royal household who served the court. 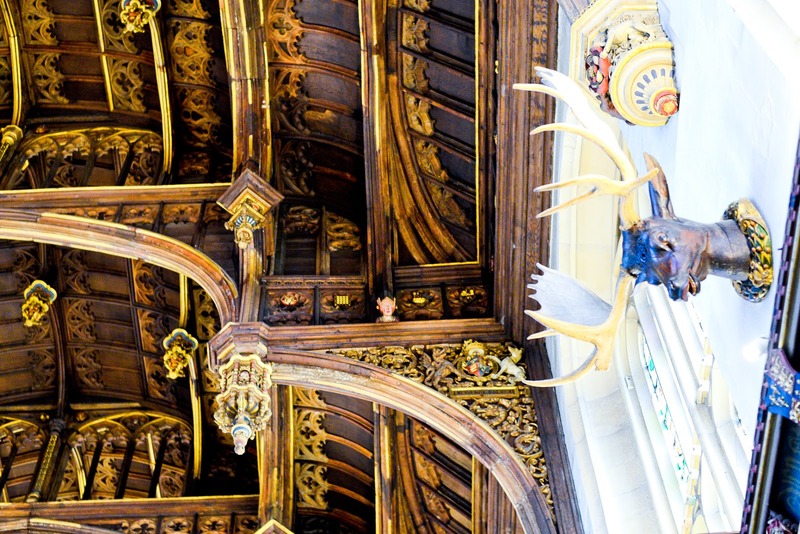 The colourful faces or 'eavesdroppers' that hang from the eaves of the ceiling of the Great Hall were a reminder to Henry VIII's courtiers that the walls had ears and that someone was always listening! 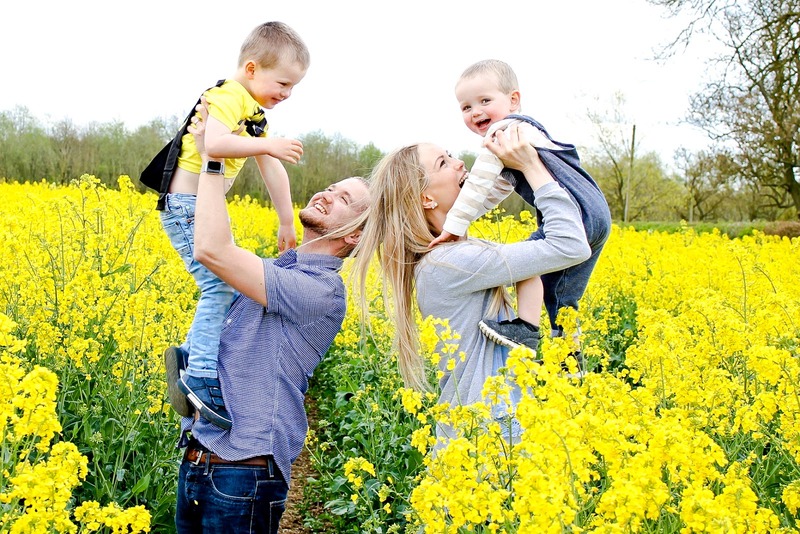 On the 13th of October 1537 the longed-for son was born to Queen Jane Seymour at Hampton Court and on the 15th he was baptised in the Chapel Royal also at Hampton Court. Sadly, the Queen died soon after that and she lay in state in the Chapel Royal for three weeks. It is said that her internal organs were buried by order of the King beneath the altar of the Chapel Royal at Hampton Court Palace, whilst her body was buried at St George’s Chapel at Windsor Castle. When Henry VIII died he was buried in the same grave as Jane Seymour who was said to be his favourite Queen (likely because she was the only one if his six wives to give him a Son). 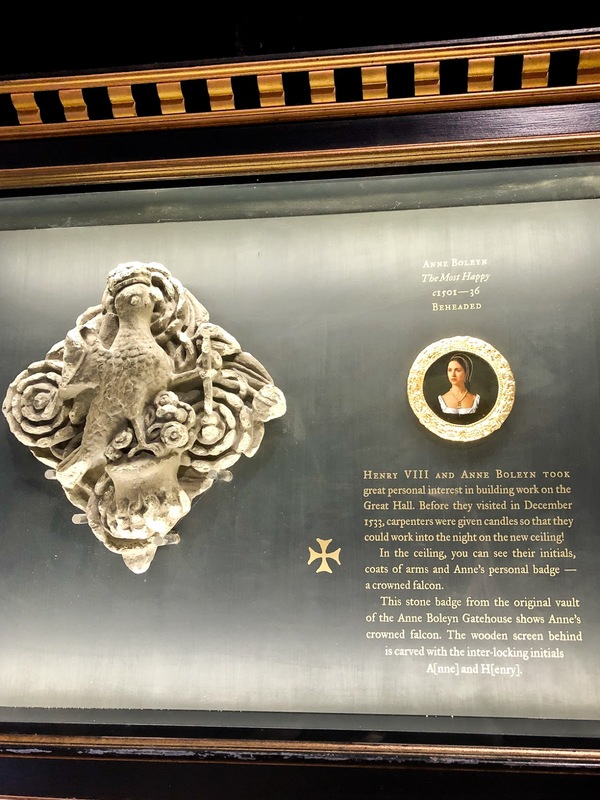 In the Great Hall don't miss taking a look at Anne's personal badge - the crowned falcon and don't miss the chance to find the interlocking 'A' and 'H' in the ceiling, which was missed by workmen when Henry ordered all traces of Anne Boleyn to be removed from Hampton Court Palace following her execution. 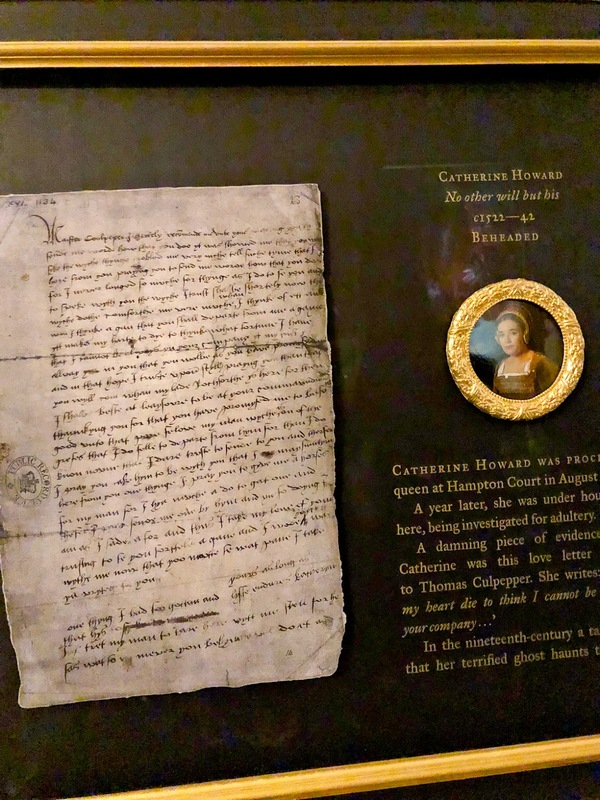 You can also see Catherine Howard's love letter to Thomas Culpeper who was a gentleman of the King’s Privy Chamber that Catherine began an affair with. Her maid, Lady Rochford, helped Catherine meet with Thomas in secret while Henry was away from court up until she was found out and they were all executed. 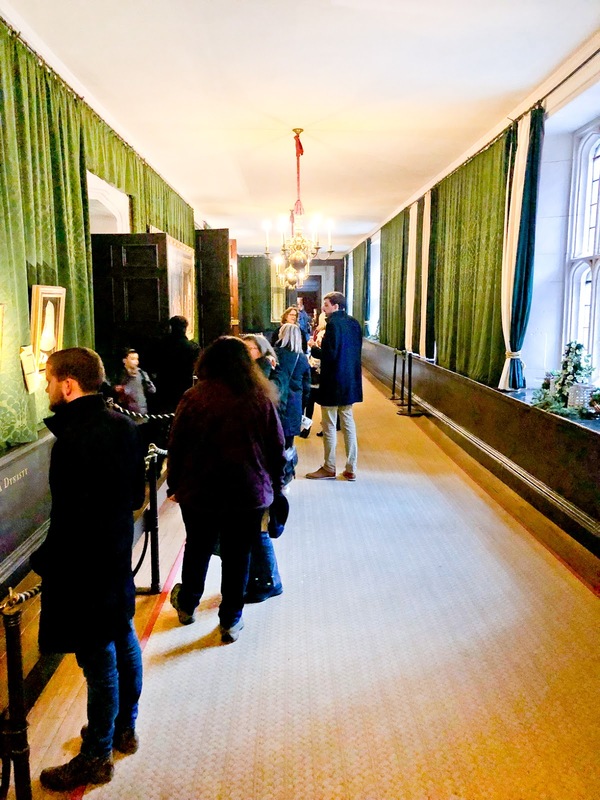 When Catherine Howard learnt of her arrest it is said that she escaped from her guards and ran through the gallery at Hampton Court trying to reach the King to attempt to beg him for mercy. However, she never quite made it to him and instead she was captured and dragged back screaming then later executed at the Tower Of London. Over the centuries visitors and palace staff have reported multiple ghostly encounters in the gallery. 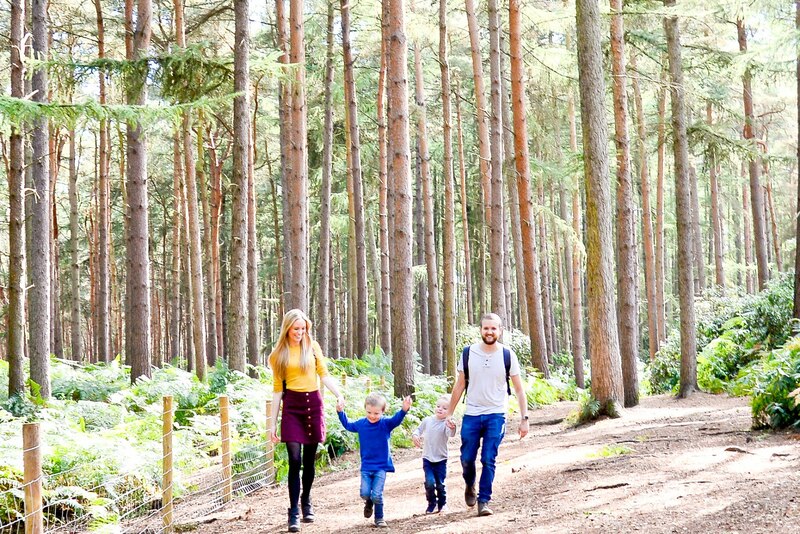 Some witnesses claim to have seen Catherine running in terror and others claim to have heard her screams. The Royal Tennis Court at Hampton Court Palace was built for Cardinal Wolsey between 1526 and 1529. Henry VIII was reportedly a huge fan of 'Real Tennis' (and also very good at it) and played there from 1528. 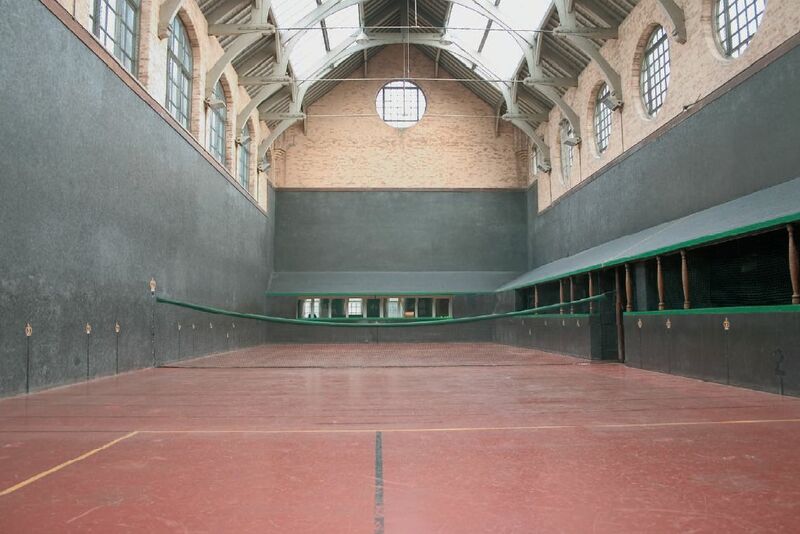 This court is still in use today by an active tennis club. 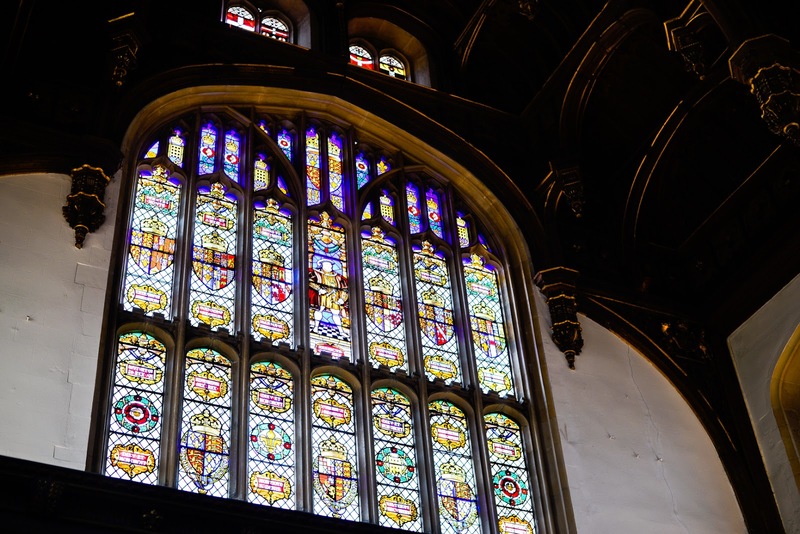 These are just a few of the incredible things that have survived from the Tudor era through the years at Hampton Court. Hampton Court Palace is definitely the sort of place that you need to visit up close and personal to really fully appreciate. 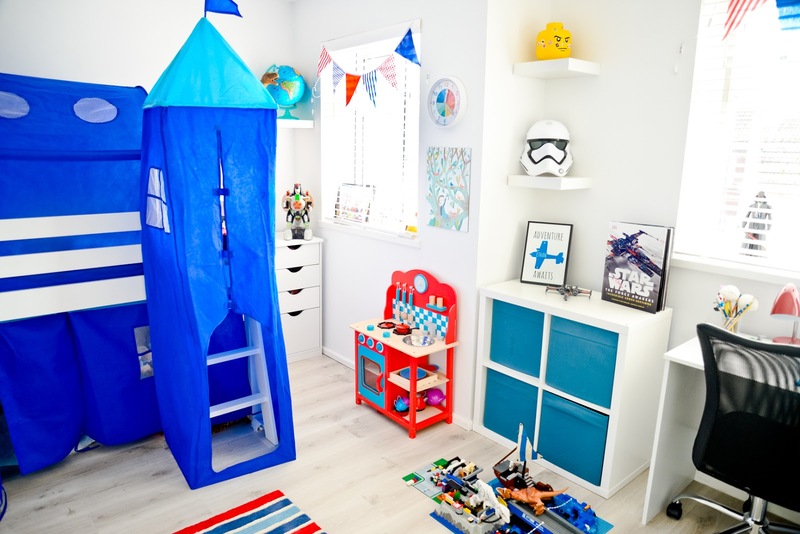 Have you been to Hampton Court Palace before? And if so what did you make of it? If not, is it somewhere that you'd like to go and visit? 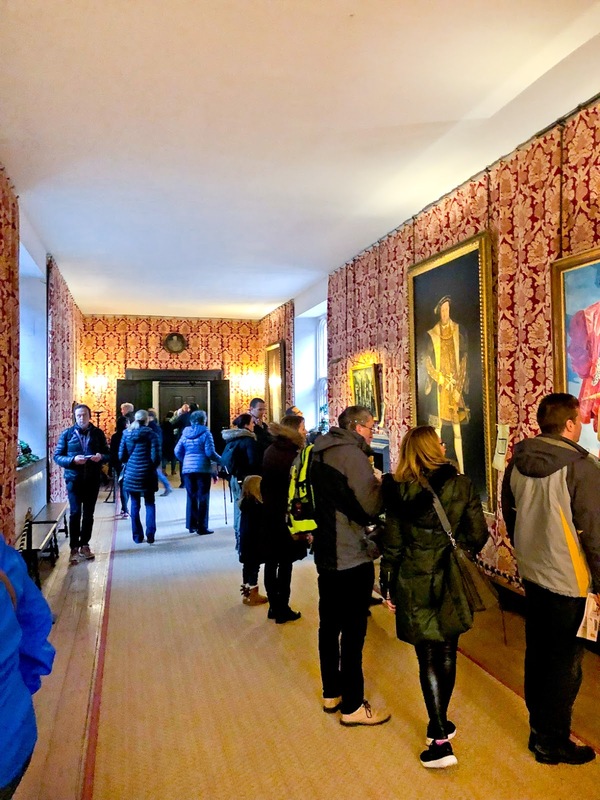 *This post is not sponsored or written in collaboration, I just love Hampton Court Palace and the Tudor era so much that I wanted to share a post on it. My eldest daughter is learning all about Henry VIII at school at the moment. I'm hoping to take her on a trip to Hampton Court Palace to aid her with her studies.